Is it possible to locate free online backup service that is fully automated and makes backing up your files a breeze and has 24/7 customer support, and 100% compatibility with any OS, and encrypts your files using the same technology that banks use to ensure that they remain safe? We could go and count thous and’s a bit more but one more will be enough. And they will let you make money using their affiliate program. The answer is yes! It’s called MyPCBackup and here’s what you need to know before you purchase this service or any online backup service. P.S. 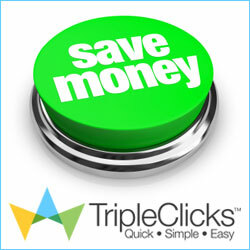 Please read through this article to find out how to start making money with this great personal backup service at an affordable price and, if you like it, and want to purchase MyPCBackup, we’ll share a secret link that will allow you to enjoy 35% discount! MyPCBackup is owned by the same parent company as JustCloud, Just Develop It!, which is located in the UK. The corporation has quite a few brands under their umbrella, all technology-based services such as PC Speed Doctor, Intellichat, Vintage Pig and Grab a Laptop, which just makes sense the founders have a background in technical and online ventures. Philosophy of this firm is simple: provide easy-to-use solutions for online applications. How User – friendly is MyPC Backup? To start using MyPC Backup all you will need to do is go and download it. It is a very simple processes and all you need to do is fill out the form by inputting your name, email and password. There will be no credit card involved, for the trial version, which lasts 14 days. After the installation is done the program will automatically locates common folders, such as Documents and Pictures, and begins the backup process based on the most popular parameters. With MyPC Backup you will get syncing of files between devices (even external drives), online access, file and folder sharing (via email invitation), complete computer restore, compatibility with any operating system (except Linux) and the ability to backup any type of file. The service is fully automated so you can simply set it and forget it. Your files will be transmitted to cloud using secure HTTPS where they will be stored in an Amazon S3 datacenter secured behind 256-bit AES encryption. In order to access your files you will need to go and use your online account where you’ll also be able to use a simple drag and drop box to back up ypur files. MyPCBackup allows you to specify additional files to add to the backup queue and schedule the process on a daily or manual basis. The advanced schedule option allows you to set a specific day of the week or month for backups. MyPCBackup allows unlimited file versioning. All you have to do is access your account online and select a historical backup to find the file. MyPCBackup doesn’t limit the number of files you can back up, but it does not allow free users to upload files bigger than 5MB. If you upgrade your account you will be able to upload up to 5GB per file. You will be able to set up resources of your computer you wish to use during a backup. Simply click on the “Power & CPU” tab under “Settings” and adjust the slider between Heavy (faster backups) to Light (slower backups). The best solution for you who don’t have strong hardware would be to set up to backup only during periods when your computer is not in use. You will be geting a small-pop-up in the far right hand corner of the computer screen every time you refresh the display. It will remind you that not all of your files are backed up jet. How will I make money with MyPC Backup? They have a great affiliate program all you have to do is to go and sign up for it. On their home page in footer you will find “Affiliates” link under FOR BUSINESS section. After you have created your account you will be able to login to your Affiliate Panel where you’ll be able to setup and track your campaigns regarding MyPC Backup and all other products from JustCloud. Your first Paycheck will be generated 4 weeks after the first sale. Then every 2 weeks after that but not before you have made at least 3 sales. Sales will show within 30 minutes. However some sales may take longer if they are held for further verification by their fraud protection team. You currently receive 120.00 USD per sale (CPA). CPA is when you are paid for every sale you generate. There is also a CPL (when you are paid for every lead) way of selling the product. CPL has a drastically lower payout, starting at just $5 per lead. You must complete 5 sales on CPA before you can request to go on CPL. For more go and read their Terms ond Conditions. If you need help in getting the word out about this and you have no idea how to advertise go and read our article on: ” Ways to get Referrals for your Business” and good luck with advertising. MyPC Backup is great choice for backing up your precious memories, videos, photos, documents and after your trial period expires you may want to use this link for a 35% discount! Free Online Backup that will make you money trough affiliate program and let you backup your precious family data on simple jet effective way. Join our mailing list to receive the latest news and updates about making money online from our team.